So begins the ultimate battle of Super Sentai! 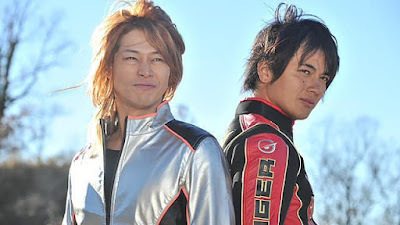 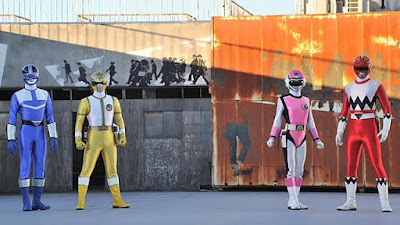 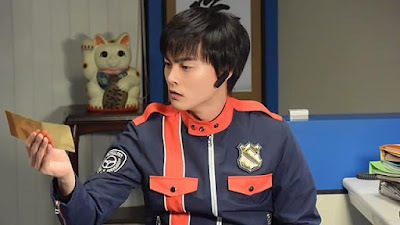 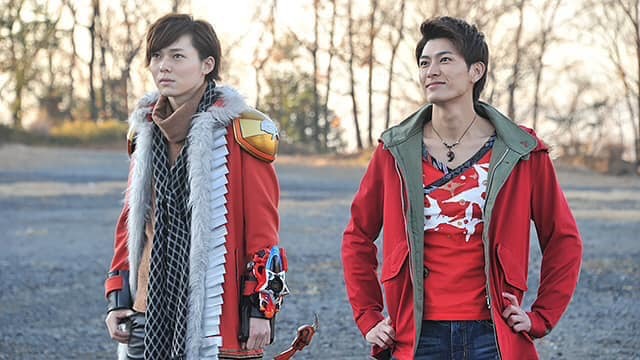 Here are the stills, title and summary for the 1st episode of Super Sentai Strongest Battle! "The Gokaigers are suddenly attacked by a mysterious warrior named Gaisoulg. Marvelous feels guilty of not protecting his team and crosses swords with Gaisoulg. During the fight, a mysterious "Shining Plate" appears, Marvelous/GokaiRed touches it and is transported to Planet Nemesis. 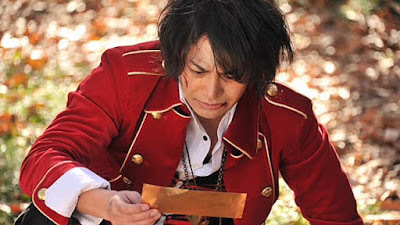 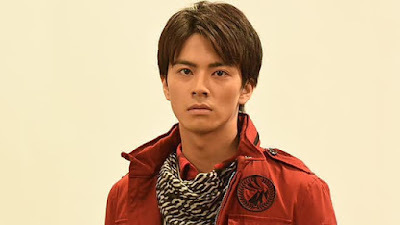 He then discovers that many Sentai heroes from the past received that same plate, and have all been called there. 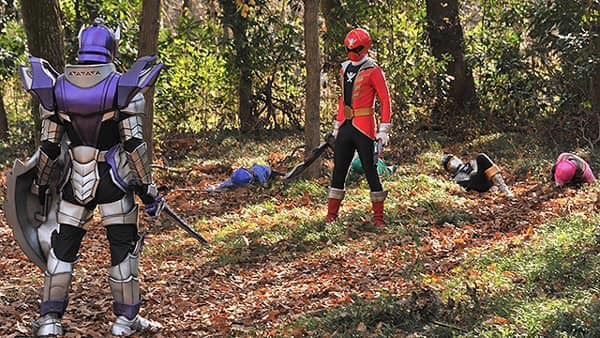 The heroes were gathered by the Watchman of Time, Rita. 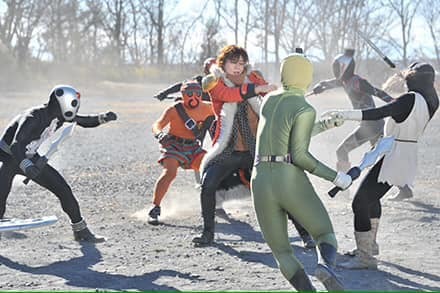 She informs the heroes that she gathered them to participate in the "Super Sentai Strongest Battle" and the winners will be able to ask for any wish they desire, using her miraculous powers. 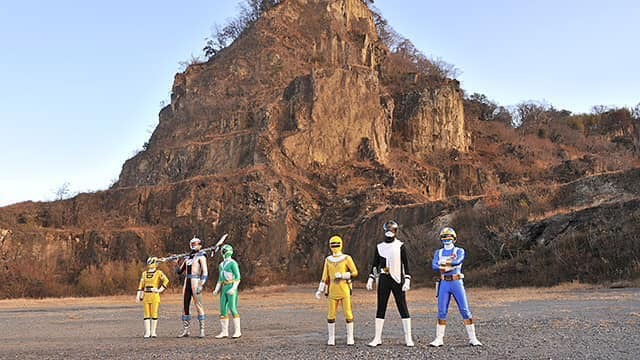 With each hero having their own wish to fight for, they are divided into 32 teams of 5, mixing and matching the various Sentai teams. 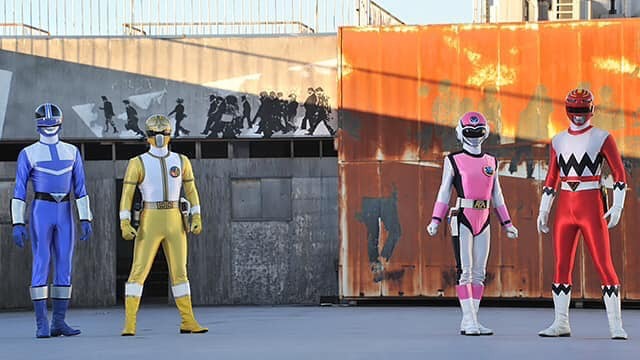 The first match is between Zyuohger's Zyuoh Eagle and Patranger's Patren #1!"